Michael and I travelled to NYC for a real estate seminar this past week. With one day to explore the city, my #1 place to visit was the 9/11 Memorial. We both remarked how quiet, sombre and respectful all the visitors were in such a large, busy, loud city. We could not help but feel the loss and the spirit of the heroes. 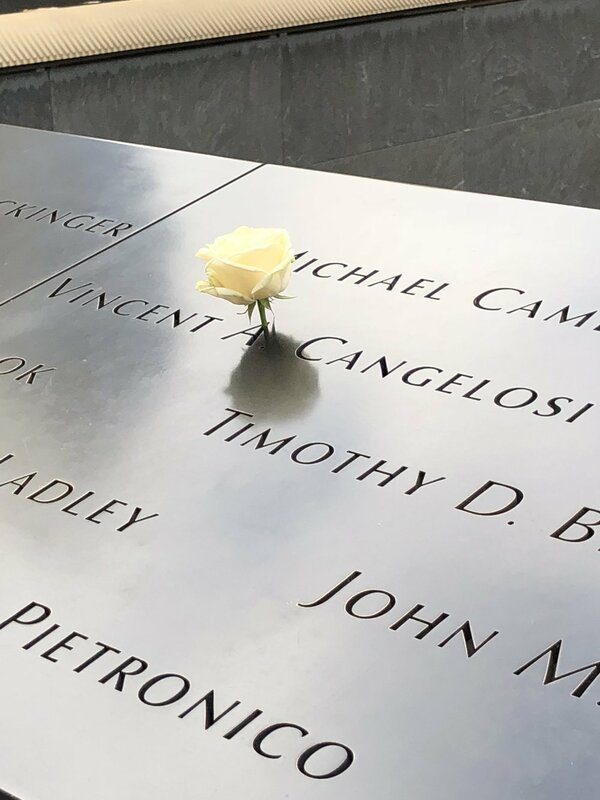 One of the most touching details of this whole Memorial, is the rose placed on the name of the lost person, on their birthday. No matter which country, we all face the same feelings of respect and gratitude for those whom serve our country. We all feel the loss and the poignant moment of the heroes who live and die for their country, without thoughts for themselves. And in this day and at this time, we do need to remember. And never forget. Our freedoms rely on it. Older PostWe LOVE happy clients...it's what makes us roll! © 2016 ALL ONTARIO BOARDS®. ALL RIGHTS RESERVED.